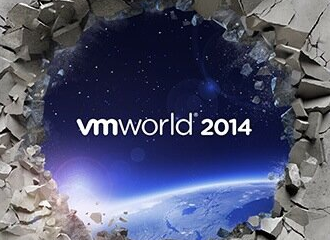 I have been absorbing, analysing and sharing ideas with lots of people during VMworld Europe 2014 in Barcelona. From executive round-tables, roadmap sessions, panel discussions to one-on-one brainstorms or sharing a dream how the IT landscape would look like in 2020+. Utility Computing is forming from dream to reality in my opinion. If you take a look at the transformation IT has made since the millennium and the speed it is moving at now, is just surreal! In the past 10 years, virtualization has spread like a wildfire across the IT industry. In the beginning it was mostly explaining and convincing a lot of different people from different departments that virtualization is not a hype but a road ahead. Innovating, breaking barriers and tearing down the so called silo’s. Now virtualization discussions aren’t around if it is proven technology or not, now it is more about what’s next? At the first customer I applied virtualization, with a dream team, in 2005 we went from “nothing” to VMware in a production environment on ESX 2.5. Primary applications which have been successfully virtualized are Oracle, SQL and Exchange. The first time the phrase Utility Computing triggered me was at VMworld Europe 2009 in Cannes. What would happen with IT if you could buy and sell IT infrastructure-power with a standard unit of consumption measurement? 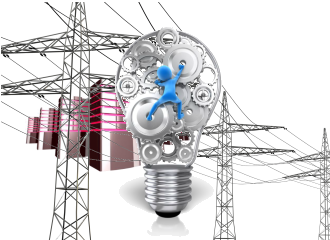 What would be needed to handle IT infrastructure power like utilities as gas, water and electricity? How to break the bond between the hardware layer and the functionality on top of it? Without change there is no growth and thanks to technology the world around us moves and changes faster than ever. Organisations which do not organize their business processes to absorb and adopt change will remain behind. The revolution of Internet, Social Media, smartphones and tablets determines how people live, learn, play and work together. The way of communication between people and people and organizations change. Access to communication, information and applications have become indispensable and nourish the speed of economic and technical developments. Remain or become competitive and attractive in the market is the primary challenge for organisations. If you want to manage change you will need to handle tree major components: People, Processes and Technology. If you forget to pay attention to one of those three, then it will go wrong fast these days. However, the fact that change has become more frequent does not make such changes any easier. The whole IT industry is currently being reshaped because of one tiny thing what triggered it: Virtualization! Virtualization makes it possible to break the bond between the physical hardware layer and the functionality on top of it. Now virtualization discussions aren’t around if it is proven technology or not, now it is more about what’s next? In the past 10 years, the Fear for virtualization turned into a conscious choice of architecture in which many companies have a ‘Virtual unless’ handling policy now. 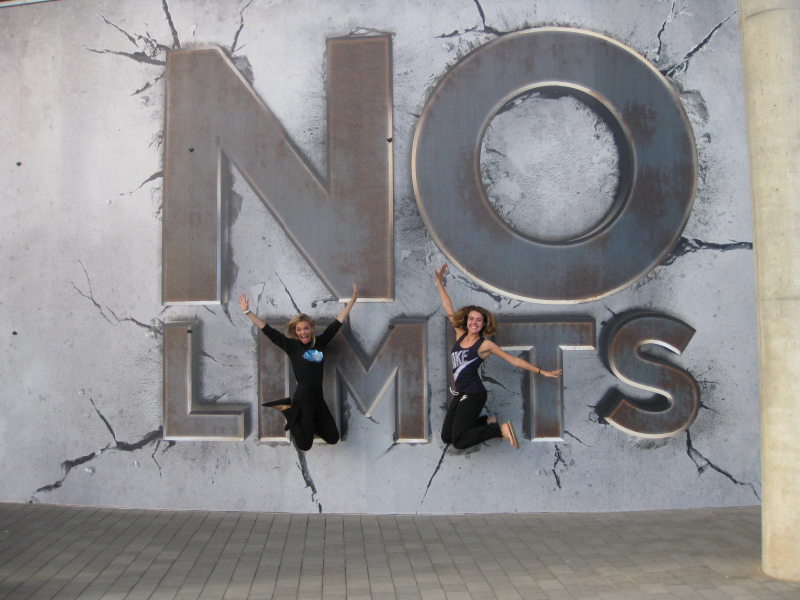 So with this year’s theme at VMworld being No Limits matches 100% of breaking the barriers without limits. If we look at the whole data center you can define three major physical components that make up the IT infrastructure. These are Compute, Network and Storage. If controlled right they are managed by one platform, but most management I see in the field is a lot of element managers and some umbrella manager which tries to tie the things together in one platform. To make Utility Computing happen we will have to break the bond between physical and the functionality on top of it completely. In other words virtualise the whole data center. Virtualization enabled the way for more automation by breaking the bonds with the physical under layer. VMs are standardized software containers. Software files that can easily be moved, copied and managed. A software-defined data center is where all infrastructure is virtualized and delivered as a service, and the control of this data center is entirely automated by software. Enterprise IT will have to become more and more business-focused, automatically placing application workloads where they can be best processed. The Compute component is already mainstream and mature, this year during VMworld it was great to see how fast the network virtualization component (NSX) and the Storage component (vSAN) is being developed and moving to a maturity level and ready for becoming mainstream.It is a journey which is on a roll and moving faster and faster. Each step of the journey will lead to efficiency gains and make the IT organization more and more service oriented. The physical hardware below a SDDC becomes disposable pieces of technology, which in turn could be priced as a utility easier. If you can move VMs (functionality) in and out quickly this will lower the barriers to change. With a SDDC you can move a whole data center very easy to another location. This is also a high risk security wise because an administrator which controls the SDDC can move, copy or delete it in a push of a mouse click. But with these new challenges their are people who see opportunities and solutions to handle such risk like HyTrust with a Secondary Approval which makes sure that critical processes are handled accordingly. The underlying infrastructure is more and more delivered as a Infrastrure-as-a-Service (IaaS) and on top of that a SDDC or components of the SDDC. With this combination you see more and more Private clouds being build and the next step will be combining them with Public clouds into a Hybrid cloud solution. Most companies choose a hybrid combination of on-promises and IaaS platforms. Where most of these options are build on the same VMware SDDC technology, so you easily migrate workloads among clouds and control and govern your hybrid environment from a single management interface. Their are also changes in the physical landscape, where the data center Compute, Networking and Storage resources are combined into a hyper-converged infrastructure.With hyper-convergence you integrate compute, network and storage where you eliminate the complexity and performance drag of (storage) networks and allows infrastructure to be scaled one node at a time. Alex wrote a good article about it here. VMware released EVO Rail and EVO Rack at VMworld. Combining all three hardware components into a single box! Another trend and vision what surprised me is from Diablo Technologies where they put Storage into a Memory slot. They are bringing the storage as close as possible to the execution processing unit (CPU). A simple, but brilliant move in my opinion. If you already have a Private Cloud running built on VMware technology, you can easily expand your data center by connecting it to VMware vCloud Air. This is a SDDC with IaaS operated by VMware. It lets you quickly, seamlessly and securely extend your data center into the cloud using the tools and processes you already have. You can run your hybrid environment with a common, unified model for management, orchestration, networking and security. You can also connect your private cloud to Clouds operated by VMware partners. With all these connected clouds coming up, the underlying infrastructure for Utility Computing is being built as we speak. Maybe you can get paid for resources you expose to the utility cloud and which is being used by someone else. Making the use of resources more and more efficient world wide. How will IT look like in 2020+? Who knows. I think from now till than a lot of organisations will be struggling with their identity and the value they offer to their customers. Workloads will move between hypervisors in and out of different sort of clouds where the world of applications, data and communication is integrated and running on an Utility Cloud with a standardized payment metric for Compute power. Will we see IT Power brokers perhaps? IT Service organisations using the world wide Utility Computing network? It is good to see there is lots of competition, because competition drives innovation! Emerging technologies are likely to revolutionize the IT industry but also every organization as a whole, as well as our business processes and last but certainly not least your and my job! I see a world of possibilities for every person and organisation who is willing to absorb and adopt change without limits. You feel something is trembling below the surface.